Yoke pullovers have a long history in Scotland, and ours are created for us by a company with generations of expertise: Harley of Scotland. Harley specialise in producing top-quality seamless knitwear: a construction method that's ideally suited to the iconic circular yoke. The lambswool we've used to knit these pullovers is spun by JC Rennie, in the historic mill they have occupied since 1798. One of the few traditional woollen spinners remaining in the UK, Rennie 'supersoft' is a light and airy yarn with a beautiful even hand and a lovely range of colours. Much beloved by Scottish hand-knitters, Rennie's, yarn is routinely used by many well-regarded brands around the world in the production of commercial knitwear. 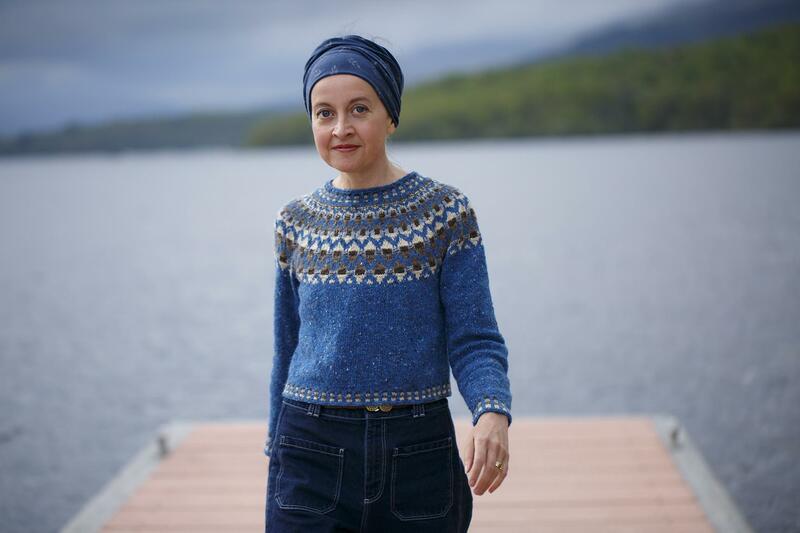 If you are interested in the Rennie colourways we've used in the these pullovers, the shades are: storm, rust, mole, pecan, graphite green, teal dust, loden, spruce, moon shadow and oatmilk. Each pullover is carefully packaged in a complimentary KDD originals cotton duffle bag. Sizing: Size 1 (UK 8-10) Size 2 (UK 12) Size 3 (UK 14), Size 4 (UK16). For detailed garment measurements, consult the sizing table (image to the left). The 'oatmilk' Finnich is modelled in size 1 on Kate who wears a UK size 6-8, has a 31" bust and is 5'2" tall. The 'petrel' Finnich is modelled in size 1 on Mel who wears a UK size 8, has a 34" bust and is 5' tall. If you'd like to take a closer look at the pullovers, click on any image to enlarge. if you'd like to know more about the production of our yoke sweaters, read more here. 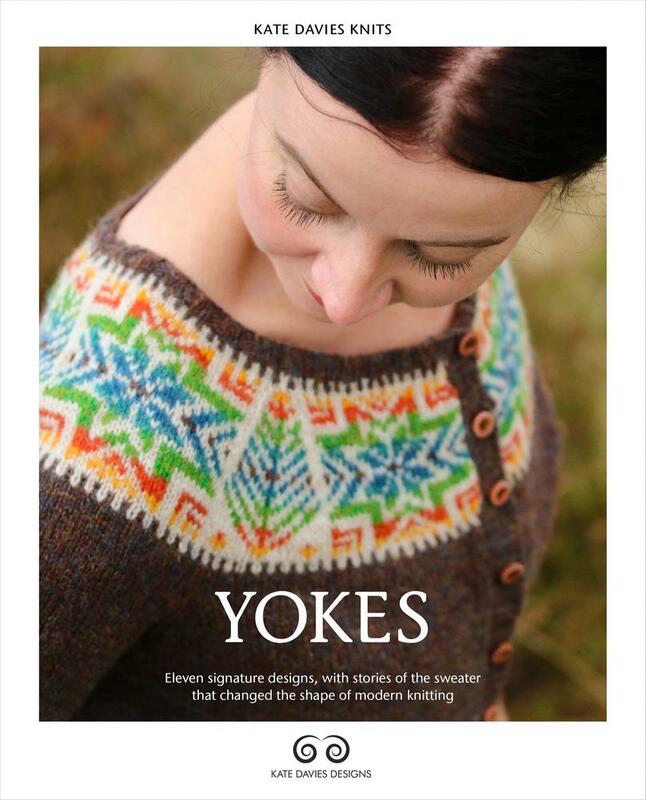 Want to learn more about the history of yokes in Scotland? Read my YOKES book!